Questions abound over what Apple might name its next flagship iPhone. And now, a new name has been thrown in the mix. 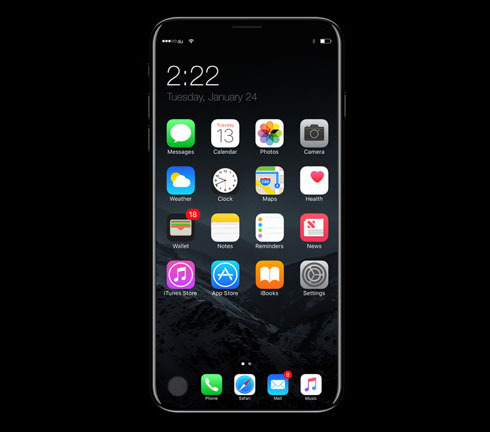 For lack of a more concrete name, most have settled on “iPhone 8” when referring to the next iPhone, but in keeping with previous years, iPhone 7S is a possibility. Various reports at times pegged it as the iPhone X and codename “Ferrari.” Others have speculated that Apple could use the Pro moniker, like its line of MacBooks. In addition to talk of the iPhone’s name, Macotakara said in its report on Wednesday, which was earlier reported on by Business Insider, that Apple is currently working on several prototypes for its iPhone Edition. Those prototypes feature different screen technologies, including LCD and OLED, and come with designs based on glass, aluminum, and even white ceramic, according to the report. The name also suggests that the Edition version will be a premium iPhone, perhaps unveiled alongside an iPhone 7S and 7S Plus. The report claims Apple is still testing out different prototypes, but that the extensive testing and supply chain constraints could lead to production delays, so the iPhone Edition, if it exists at all, might not be released until much later.